Sara-Jane works with insolvency practitioners, security holders and creditors to provide advice on all areas of insolvency, and debt recovery and enforcement. She acts for liquidators, trustees and creditors in respect to all aspects of personal and corporate insolvency. 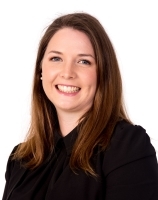 Sara-Jane specialises in recovery of secured and unsecured debt, and enforcement of judgments, in particular, bankruptcy and winding up proceedings based on a failure to pay a debt. She also advises a number of large credit providers, including banks, in relation to the enforcement of their securities over both real and personal property. Sara-Jane’s focus is on providing quick, practical and cost-effective advice. successfully negotiating payment of a secured creditor’s debt in priority to other creditors of a bankrupt’s estate. Sara-Jane regularly appears in the Federal Courts of Australia and the Supreme and Magistrates Court of Tasmania.